In an effort to keep my site clean and tidy, I’ve removed the blogroll from the sidebar. 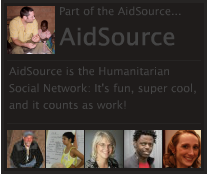 Recent additions to my blogroll were given a brief write up in my recent post on Who’s Who in Int’l Dev’t Blogging. I thought I’d go ahead and keep those brief write-ups here as they might be a useful addition to the blogroll. But, now I have to go back and do the same for the blogs that were already on the roll before the recent update. I’ll try to get to that in the coming week or so. If I haven’t done this by the end of July, somebody shoot me a reminder. Thanks. Known best for his broad and timely reporting on aid and development, Tom Murphy co-founded the Development and Aid Workers News Service (DAWNs). He is a prolific blogger, often posting more than once a day, and often at more than one site. He is also an official Twitterati. Written by Ben Ramalingam, this blog explores the nexus of complexity sciences and international aid. “It is hoped that the blog will provide a means of connecting up the emerging community of practitioners interested in alternatives to linear, mechanistic approaches to development.” Right on. Oh rejoice, Bill Easterly blogs again!! No comments are allowed, which takes half the fun out of the experience, but Bill, along with Yaw Nyarko, keep their posts lively, short, and daily. A must follow. An associate professor in the Department of Politics at Princeton University, Evan manages to keep the posts accessible and non-academic. They are still informed and smart. He writes about governance, development, identity, and politics in Africa. Dave Algoso is a young international development professional based in Kenya and a recent graduate of NYU’s Wagner School’s MPA program. He’s a very prolific and good writer – smart, articulate, and broad in scope. One of the best new additions to the blogroll. I can’t tell you why I didn’t have Duncan Green’s blog on the roll before. What an omission! Duncan is Head of Research for Oxfam GB. He can be a bit academic for some, but he is influential on a broad spectrum of topics related to international development: economics, aid, politics, climate change, global finance, gender, human rights, conflict and security, etc. A must follow. A young and brilliant environmental economist at the Environmental Defense Fund. Author of “But Will the Planet Notice? : How Smart Economics can Save the World.” He keeps most of his informative posts very short and focused. Update: I forgot to add this one to the original post. (forehead slap!) Tom Paulson at KPLU (public radio 88.5 in Tacoma, WA – awesome jazz station!) gives us news and analysis of global health and the fight against poverty. It’s part news outlet and part blog, and completely worth following. Ian Thorpe works in the UN on knowledge management, monitoring and evaluation. The blog is fairly focused, sometimes technical, and not for everybody. But for those interested in KM, DME, data analysis, research, transparency, and smart aid, there is no better blog out there than this. Ed Carr is an academic that blogs on a broad spectrum of topics related to international development, but is at his best when talking about climate change, food security, livelihoods, and adaptation. I don’t read his blog that often because his font is too darn small. Ed is definitely worth reading; I just wish he’d change his font. Another overdue omission. Owen Barder is an influential thinker from the Center for Global Development. Smart as they come, broad spectrum of topics, always timely. He has a huge following and with reason. Along with DAWNS Digest, (and Humanosphere), a key source of news and commentary for those working or interested in global development. Posts from global thought leaders like Jagdish Bhagwati, Jeffry Frankel, Kenneth Rogoff, Josesph Stiglitz, Joseph Nye, Dani Rodrik, Jeffrey Sachs, Andres Velasco, Bjorn Lomborg, Naomi Wolf, Christopher Hill, and Anne-Marie Slaughter. Need I say more? A must read. 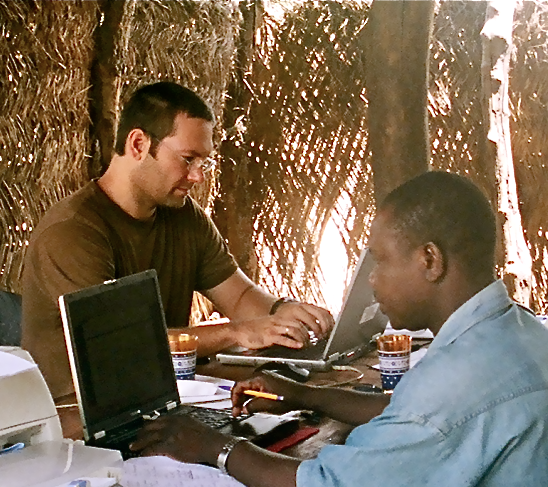 Lee Crawfurd writes about economics, democracy, development, and Africa. He used to based in Southern Sudan. Today he’s at Oxford Policy Management. His voice is fresh, readable, and sometimes snarky, but always intelligent. Although there are a bunch of bloggers here writing about everything from education to technology to impact investing to nonprofit management to social entrepreneurship, I pretty much follow this because Matt Forti from the Bridgespan Group posts there about measuring social impact. Fantastic Blogroll. thanks for pulling together all of these great resources.